HALE MARSH AND PICKERING'S PASTURE. 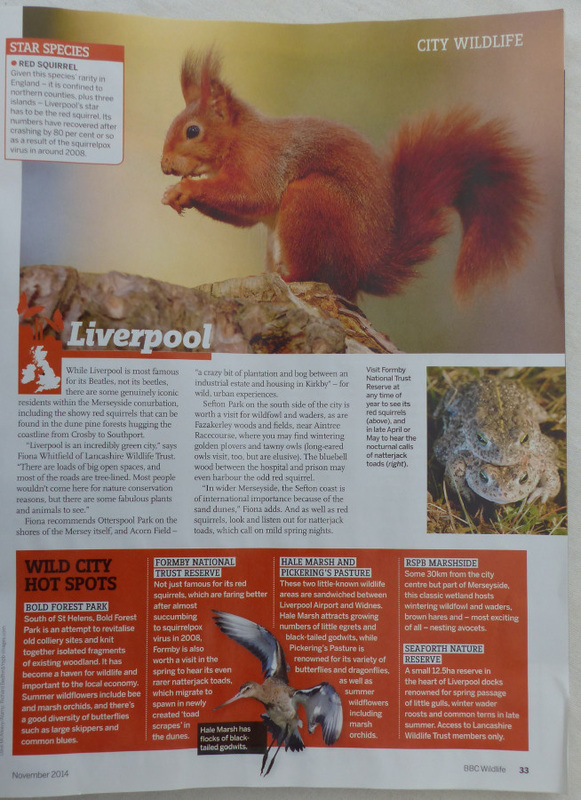 These two little-known wildlife areas are sandwiched between Liverpool Airport and Widnes. Hale Marsh attracts growing numbers of little egrets and black-tailed godwits, while Pickering's Pasture is renowned for its variety of butterflies and dragonflies, as well as summer wildflowers including marsh orchids. Other places mentioned include the RSPB reserve at Southport, a National Trust reserve at Formby, a Lancashire Wildlife Trust reserve at Seaforth and other smaller reserves and parks. 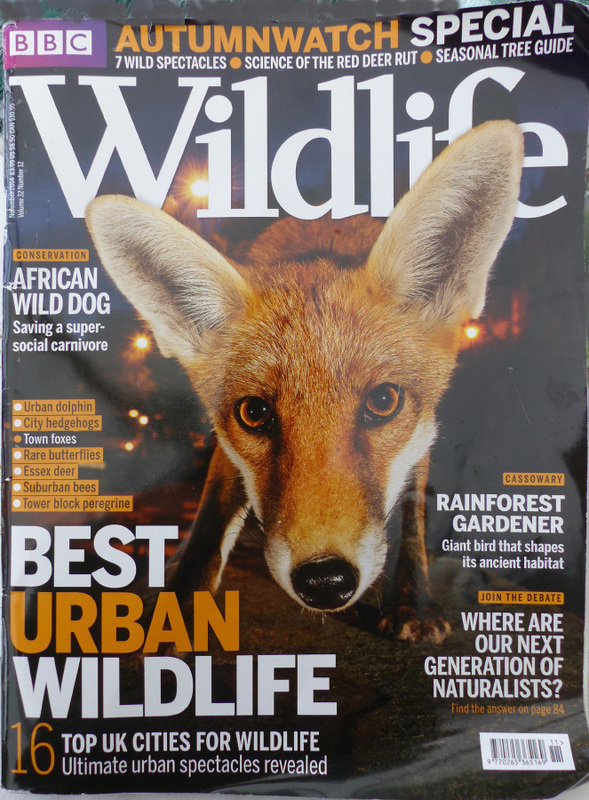 The BBC Wildlife magazine is a good read: with articles promoting conservation and wildlife concerns both in Britain and world-wide. Occasionally there are back copies of the magazine to browse at the pop-up café.